Are you struggling to manage your time efficiently? 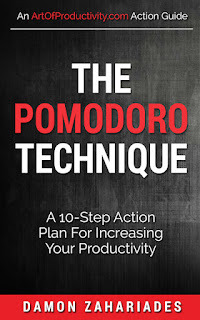 Do you have the feeling you could be much more productive if only you used the right workflow strategy during your day? It's one of the most popular time management strategies used today. Students, corporate managers, small business owners and stay-at-home moms employ it to get more done, stay motivated and carve out more free time. It can help you to do the same thing! Download your copy of "The Pomodoro Technique: A 10-Step Action Plan For Increasing Your Productivity" today!